Moana is accompanied by a six-minute animated short. 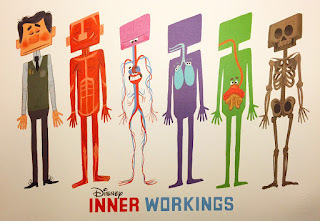 Inner Workings introduces us to Paul, an employee of the large company Boring, Boring and Glum. Paul lives a regimented life, waking early each morning, walking to work, and dutifully entering information into his computer. He wants to live a freer life: to sing in the shower, to flirt, to swim in the ocean and to laugh, but his anxious mind sees danger around every corner, and keeps his heart on a short leash. 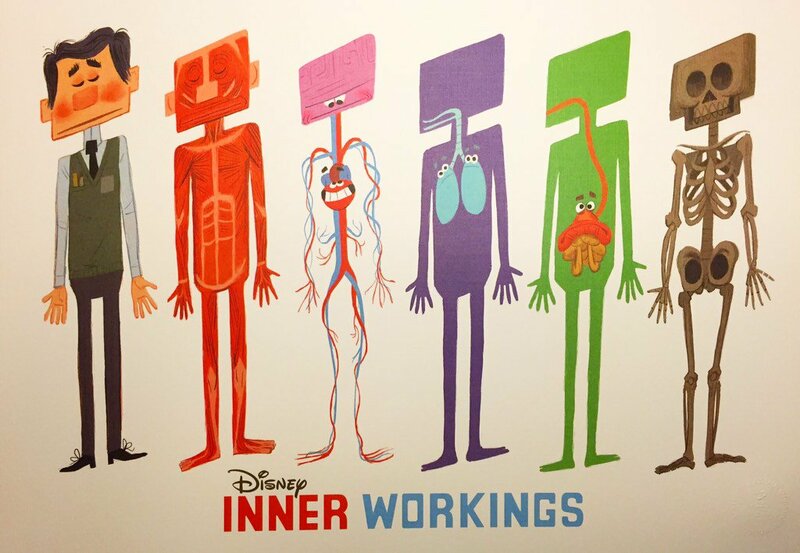 Inner Workings shows both the external circumstances of Paul’s life and the internal interplay between his brain and heart. (SPOILERS AHEAD): Paul’s brain is trying to keep him safe – it continually imagines the ways that Paul could die from the activities he wishes to do, however unlikely those ways might be. This keeps Paul safe, but leaves him depressed. Paul’s brain realizes that, even if Paul avoids all risks to stay perfectly safe, he will one day reach the grave. Not wanting Paul to waste the days he has been given, Paul’s brain returns some control to Paul’s heart; Paul runs into the ocean, finds a girlfriend, and dances at work – he does not die, and his newfound joy catches on with his coworkers and bosses. Inner Workings is a welcome reminder that we can find joy in our day-to-day lives, that some risks are worth taking in order to have a vibrant life, and that sometimes, joy is just waiting to enter your life. Why was Paul so depressed? How important is it to be safe? How important is it to be happy? How do you find a healthy balance between the two? Do you think your brain or your heart has more control in your life? Do they share?